ANCOM’s decision to cut the tariffs telecommunications operators have to pay to gain access to the Bucharest metropolitan fiber optic network to a level below the tariffs regulated by the concession contract is described by Netcity Telecom as “a severe and unadjusted intervention that could affect infrastructure investments, the local budget and the welfare and comfort of citizens”. Therefore, the company will look for the solutions needed to restore a fair operating framework for the project implemented in partnership with the Bucharest Municipality, in order to support 100 percent private investments in the capital’s infrastructure. Netcity reminds that in 2018 it made “considerable investments” that led the network to grow by a third in length and that it still needs an increase in funds to expand the network. “Regarding the change to the tariffs established following a public tender under the concession contract concluded in partnership with the Bucharest Municipality, beyond aspects of principle, the decision to lower them has no direct effect to benefit consumers. The Netcity project did not and does not have a direct impact on the level of tariffs paid by end-users, but it is contributing to increased competition among operators, as evidenced by the downward trend in prices of internet, telephony and television services since the launch of the project Netcity to date,” shows the press release. 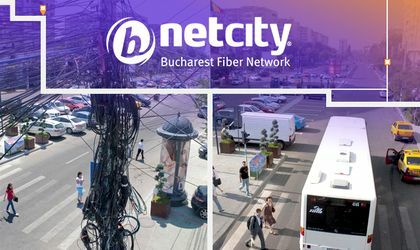 The company also states that the city budget will decrease as Netcity pays one of the largest royalties related to a public-private partnership, namely 12 percent of its income, and contributes to the Bucharest budget with more than EUR 1 million every year.